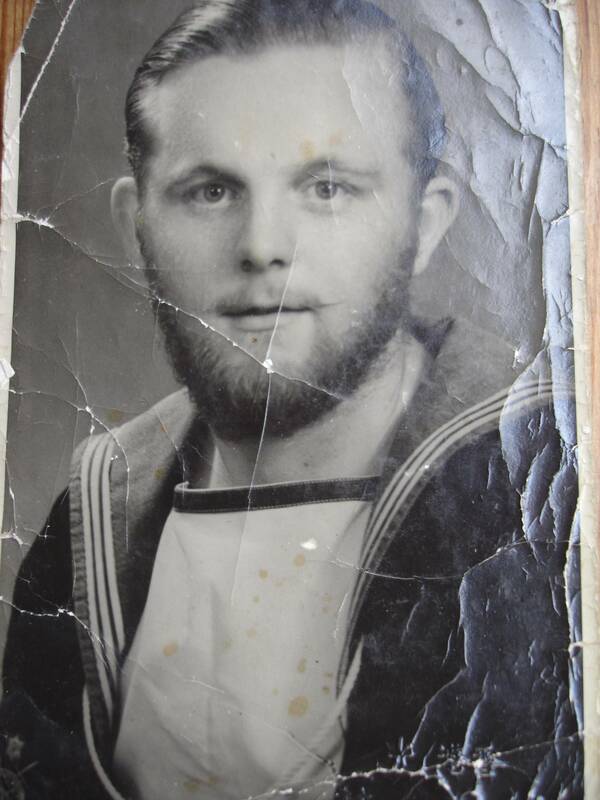 A crumpled photo from this granddad’s navy years found new life on Reddit. 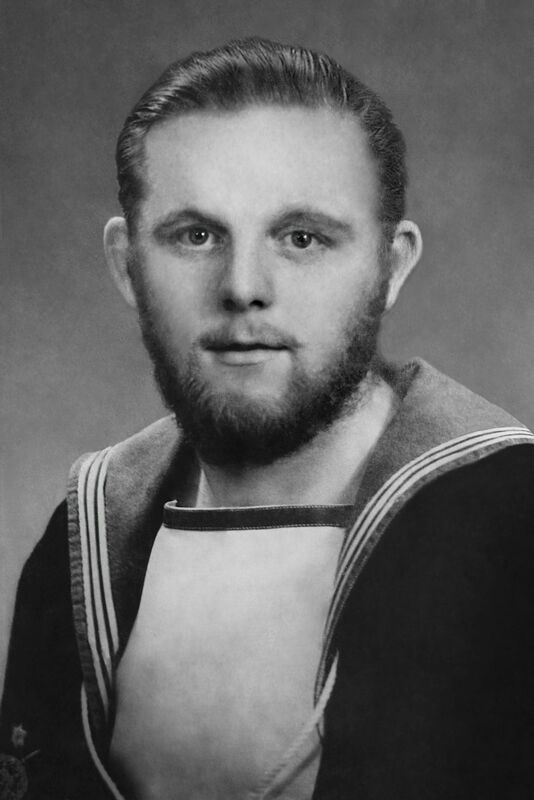 Derek, an 87-year-old grandfather who served in Britain’s Royal Navy during World War II, has no doubt seen it all. War. Foreign territory. An ever-expanding family. Recently, he saw something brand new: the power of Reddit. Redditor Steven Withey, who goes by the handle stevieboy1984, is Derek’s grandson, and recently helped him set up a new computer. In a blog post, Withey, the “go-to IT guy in the family,” described how part of the setup process included viewing a batch of old photographs of Derek during his time in the service. Withey was unsatisfied with the photograph’s weathered condition and turned to the subreddit r/picrequests for help. The community, which is home to over 14,000 subscribers, takes requests to digitally manipulate submissions. “I don’t have the PS skills to tidy it up myself and would be really grateful if someone could have a go at it!” Withey wrote in his request. Within hours, redditors worked their magic on the photograph. The ultimate “winner” was redditor unhi, who put a little over three hours into the restoration, producing a clean, crisp, high-resolution version of the original. While unhi’s piece is what eventually wound up in a frame, Withey made sure to show Derek every last retouched photo that was submitted. He even documented his grandfather’s awed and humble reaction to the work in a YouTube video, which has received almost 100,000 views. In an article on the widespread act of generosity, the Huffington Post identified unhi as Dave Humphreys, who was just as awe-struck at the attention his retouching job was getting. “One minute I was just putting my talent to use to help a stranger on the Internet and the next it’s getting thousands of views on YouTube,” Humphreys said in an email to the Post. While each redditor tackled the project free of charge, Withey nevertheless expressed his gratitude for the amount of time that was spent. “I gifted some Reddit Gold to the users who contributed as a thank-you,” he wrote.